The Miele PG8535 is a laboratory washer designed to clean glassware in schools, industrial, environmental and research laboratories. 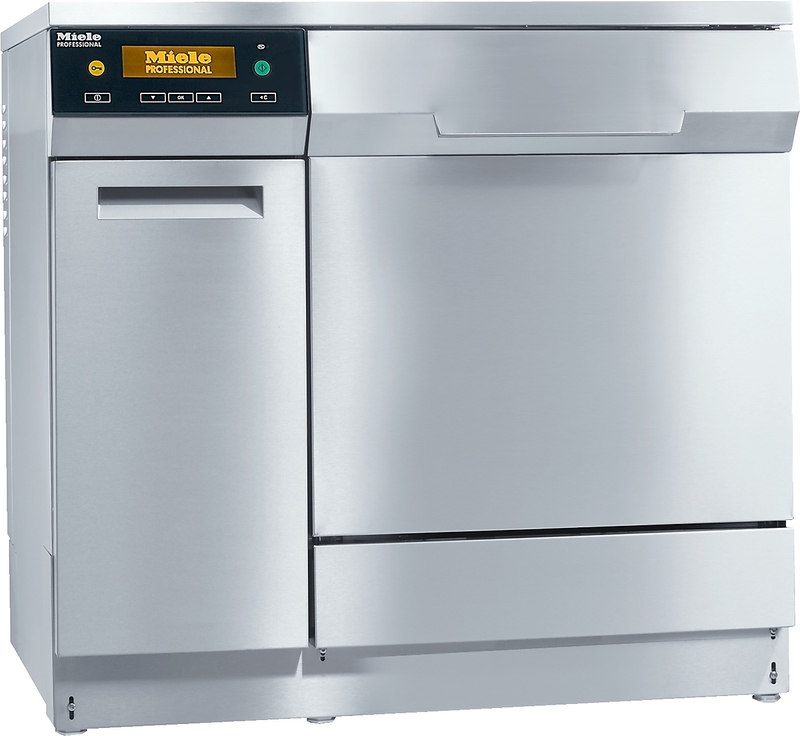 Suitable as a freestanding or under counter unit, the stainless steel PG8535 has been specially constructed to reduce heat and noise emissions. As well as outstanding results, the Miele PG8535 has also been designed with convenience in mind, utilising our patented door salt container, which is incredibly simple to load. Setting a new standard in clean, this glassware washer boasts an improved capacity, allowing you to clean large numbers of utensils and equipment quickly. The Miele PG8535 comes with 17 programme settings and will clean upto 96 pipettes together with other laboratory glassware. The Miele PG8535 is delivered within 4 weeks and we would recommend that you use our qualified installation service. If you choose to have this dishwasher installed by Dishwashers Direct, we will provide you with 1 year FREE Parts & Labour Warranty. If you choose delivery only, we offer parts only warranty. You can choose to upgrade and extend your warranty upto 3 years including parts and labour.